Pretty in Stains loves floral design and we don’t think it’s going anywhere. 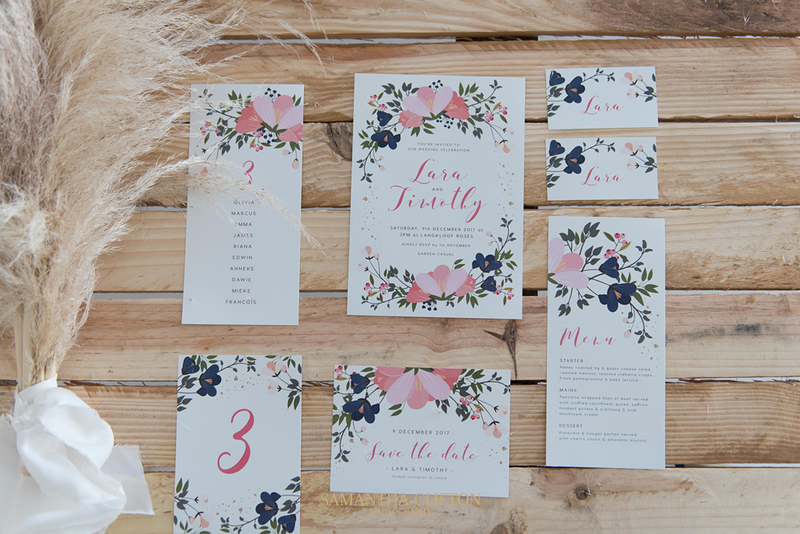 So this wedding stationery set was designed for and inspired by the Bohemian wedding trend. Bold flower artwork of flowers (we imagine) one can pick in an open field and put into a jar. The bold visuals is just enough and is softened by the white breathing space and beautiful font combination.